Musings 'n scribblings of a philanthrope .. : A visit to Public Affairs Centre, Bangalore ..
A great Economist, the world will remember ..
Prof. Samuel Paul, former Professor of the prestigious Harvard Business School, Economist from the World Bank and Director of the Indian Institute of Management, Ahmedabad from 1970-78 founded the Public Affairs Centre in Bangalore in 1994. 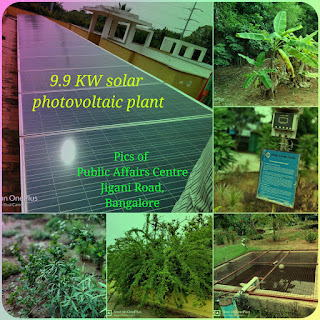 Yesterday, the first of June 2018, the Operations faculty and students of semester 3 of Operations stream from Alliance University Bangalore, a strength of 12 members, visited this popular NGO in Bangalore, India's first and only Carbon-neutral campus, the Public Affairs Centre, PAC on Jigani Bommasandra road. It was a treat for everybody. 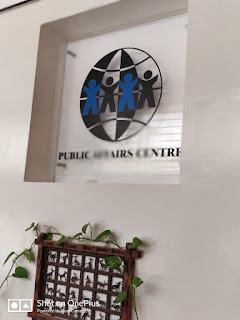 After initial introductions, we were treated to a presentation where we came to know of all the activities of Public Affairs Centre Bangalore. Public Affairs Centre is an NGO which is catering to the needs of the public in terms of undertstanding the impact of various public policies of the government and how it is impacting the end user, the public. They carry out studies for various state governments and international organisations too. The pics from the PAC campus .. The centre has an employee strength of 32. 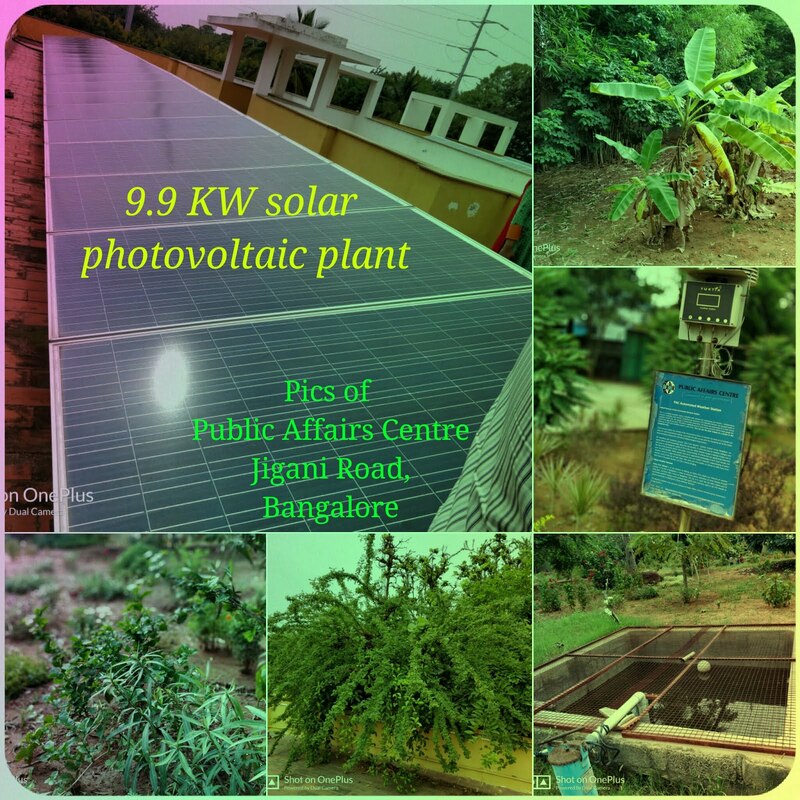 The most important point why we visited the centre was to see how PAC could implement and is carrying out the maintenance and running of India's first and only Carbon-neutral campus. In other words, all the Carbon producing activities in the centre are 100% offset by activities that do not emit carbon-dioxide. Click here to read about the world's first carbon-neutral village coming up in Meenangaadi, Kerala, India by the year 2020. For example, the 9.9 KW solar panel on the rooftop of the main building takes care of all the energy usage in the building on weekdays. During weekends, they sell the energy generated to BESCOM, Karnataka Government's energy distribution agency and earn an average amount of Rs 7000 every month. What struck us most was the green building which houses the administrative section of PAC. With natural illumination and excellent cross ventilation, it was very cool entering the building. We never felt the need of any fan or electric bulbs in the campus during day time. The entry to PAC .. The Jigani area has no organised piped water and no connection to Cauvery water. Since there is no organised govt water pipeline, borewells have been put up by all houses and commercial organisation around the area for meeting their water needs. This has resulted in lowering of the water table to about 600 ft. The campus has its own rainwater harvesting system which charges the water table for the whole area. Bunds have been built every 25 metres across the sloping contour of the land to allow the rainwater to seep naturally to the ground than runaway and lost for ever. It is hoped by the positive actions of the centre, the whole area will have a raised water table in the next four five years. With an average rainfall of 86 cm during the two rainy months, ie. 60 days in a year, this area of 2 acres can collect theoretically a volume of 7 million litres of rainwater, ie. 7,000 cu metres. They have huge water collection tanks dug up in the campus. This water is used throughout the year for all toilet and gardening needs of the PAC. The PAC also has a very beautiful garden. A proud inmate of PAC .. 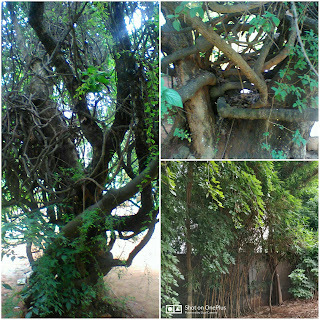 The best natural way to gauge how environment friendly the campus is if you can see butterflies and birds in the campus. 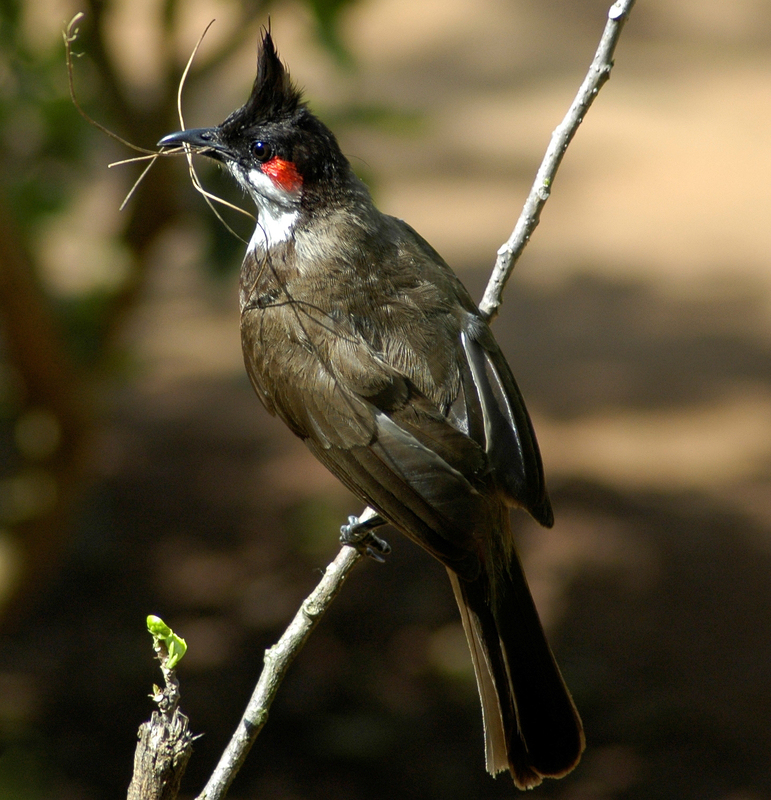 We were indeed surprised to find the nest of the red whiskered bulbul inside the premises of PAC. The wet waste/green waste in the campus is composted and used as manure for the vegetable garden, plants and shrubs inside the campus. The dry waste is collected and given to the corporation for proper disposal. It was also a great surprise to find an independent weather station which monitors the temperature, relative humidity, rainfall, solar irradiance etc on the campus. This is part of a network of 20 such weather stations across Bangalore which gives weather prediction alongside the government agencies and remains as a private cross-checking mechanism of government data on the climate. The Alliance U team with PAC staff ..
One of the interesting sights inside the campus was the more than 100 year old tree ecosystem in the campus and around which the administrative building is built. This tree ecosystem is actually 4 trees living together as one. The PAC authorities have taken great care not to cut or destroy this natural bonding of a hundred years between these four flowering trees and is an indication of how strong they care for the environment. After a brief nature-walk around the campus, we assembled back in the conference hall on the first floor at 4.15 PM. After the collection of feedback and a session of very useful, positive interactions, with promises and assurances of future collaborations and opportunities for internship on sustainability and carbon-neutral issues, we were ready to leave. Prof. Alluri proposed to the centre to take up up NET-ZERO concepts of sustainability as the future mission of the centre. 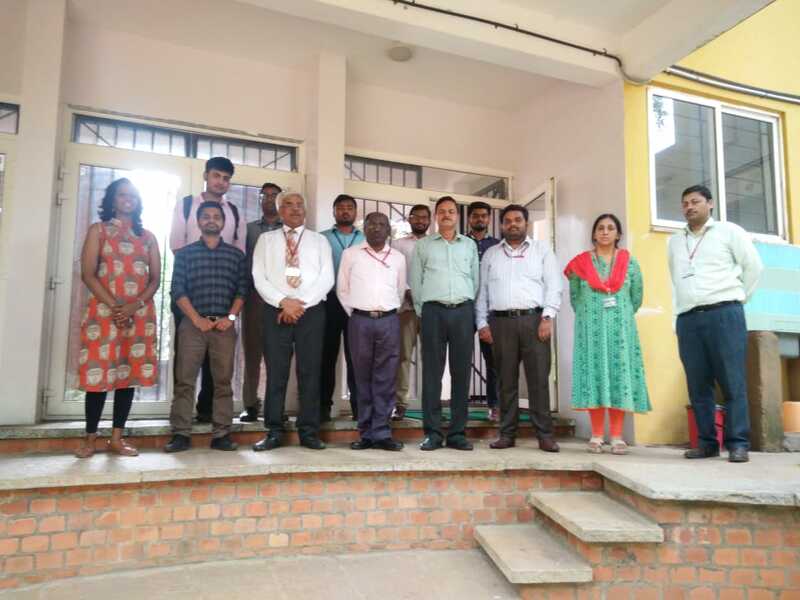 The visit was very fruitful and we look forward to PAC authorities visiting our green campus in Anekal soon and take the collaboration forward. 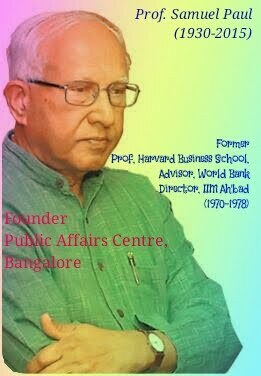 The foresight of Prof. Samuel Paul almost 24 years back in setting up the Public Affairs Centre as an agency to fight for good governance, ensuring transparency and honesty in public transactions and acting as the middle man in ensuring effective use and disbursal of public resources, the contribution this centre can give to the Karnataka society and India in general in the coming years is going to be great.